While the middle class felt left out from the Union Budget 2018, it brought cheers to senior citizens. Relief came in the form of exemption of interest income on deposits with banks and post offices, from Rs 10,000 to Rs 50,000. A simple calculation says an increase in income of Rs 12,000 per year or Rs 1,000 per month for those in the 30 per cent income tax bracket. Also, no tax will be deducted at source on such income. 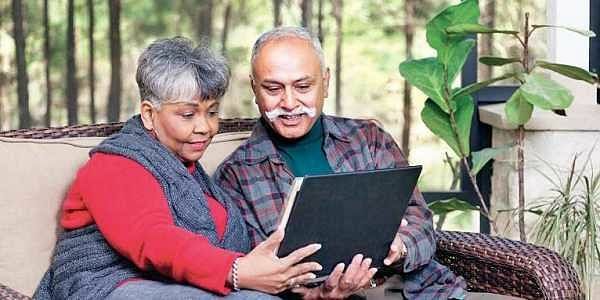 Another benefit for senior citizens was the increase in the investment limit from Rs 7.5 lakh to Rs 15 lakh under the Pradhan Mantri Vaya Vandana Yojana, which has now been extended till March 2020. Experts say this will increase investment from senior citizens as it promises a healthy return at 8 per cent, which is on par with the popular Senior Citizens Savings Scheme. “Senior citizens’ source of income is mostly interest from FD and bonds. As interest rate on FDs has nose-dived in recent times, this announcement comes as a relief. If the government gives return of 8 per cent till 2020, it’s a safe place to invest,” said J K Bhalla, 70, a South Delhi resident and an active investor, adding that net benefit from the budget announcements for senior citizens won’t be much as there is no curb on inflation rates. Moreover, senior active investors are not exempt from paying long-term capital gains tax (LCGT) on equities. Any long-term capital gain on equities exceeding Rs 1 lakh will now be taxed at 10 per cent without indexation benefit. The FM also raised the limit of deduction for health insurance premium and medical expenditure to Rs 50,000 from Rs 30,000 under Section 80D, meaning it wants them to take a more valuable policy to counter the growing healthcare expenses. This change would be applicable for FY19. Young professionals who are paying premium on behalf of their parents who are above 60 years can also benefit under Section 80D. The senior citizens can now also claim a deduction of Rs 50,000 towards medical expenditure, instead of claiming health insurance premiums only. Very senior citizens (above 80 years) and not insured can claim up to Rs 50,000 deduction towards medical expenditure – an increase of Rs 20,000. Those who suffer from critical illness like cancers, chronic renal failure, etc get the benefit of increase in the limit of deduction from Rs 60,000 for senior citizens and Rs 80,000 for very senior citizens to Rs 1 lakh for all senior citizens under Section 80DDB. “Health-wise, there are benefits for senior citizens in the Budget. The FM has carefully designed the initiatives to have minimum impact on its pocket and maximum result. We expect a rise in sales of health policies which can cover more,” an expert said.